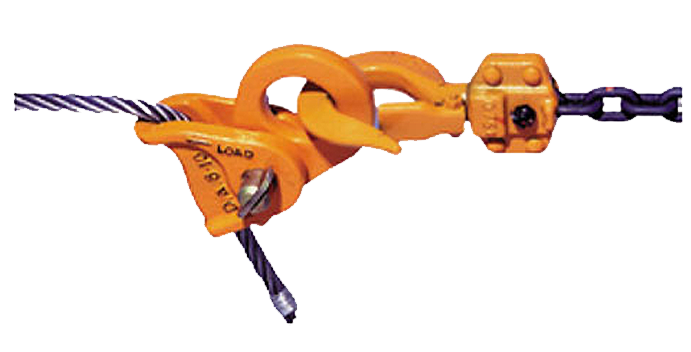 Kito Clip is a fixture for wire rope & stay wire developed for combined use with a Lever Block or Chain Block. It’s easy to use and economical. 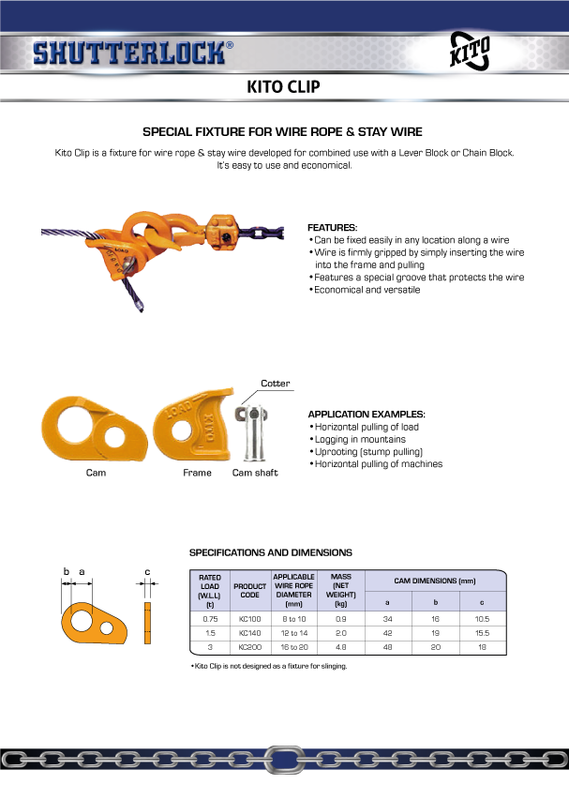 Kito Clip is not designed as a fixture for slinging.